Mihaylo Finance Professor Xiayoing Xie believes the Aetna/CVS deal may create efficiencies in the market. “It may possibly lower the overall healthcare costs through offering a one-stop solution for minor medical services and helping members manage their chronic diseases more cost-effectively.”Aetna, one of the nation’s leading managed care providers, and CVS, America’s largest pharmacy chain, agreed to a merger announced in December 2017, in which CVS would buy the insurance giant for $69 billion. Earlier this month, shareholders for both companies approved the deal. From shifts in health care costs to changes in how emergency and primary care is delivered to patients, the consequences of the merger are expected to be significant. The deal still needs approval from the federal Department of Justice. 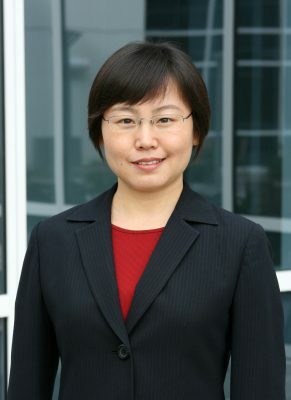 Mihaylo Finance Professor Xiaoying Xie, who specializes in insurance studies, believes that there are potentially positive benefits from such a deal. While horizontal consolidation, involving mergers among competitors, may not become the wave of the future in health care, Xie notes that the Aetna/CVS deal is emblematic of the growth of vertical consolidation in health care, which involves deals with firms up or down the supply chain. The Aetna/CVS merger would create a format similar to the health maintenance organization (HMO), which provides economic efficiency through the integration of services. Xie notes that Kaiser Permanente, the largest insurer in California, is an example of this structure in current practice. According to a report from the Insurance Information Institute regarding employment trends, in 2017, 470,000 employees worked in the American health insurance industry, though regulatory changes and new technologies are expected to significantly change this field in the future. For more on preparing for insurance careers, visit CIS at SGMH 4280. The center hosts various speakers and offers academic undergraduate and graduate insurance programs, scholarships, and job-placement resources.